A former college building close to Wath town centre could be converted into apartments under new plans submitted to Rotherham Council. The freehold of The Rockingham Centre was recently put up for sale and the new proposals include 28 residential apartments. Dearne Valley College identified the 5,611 sq ft building as surplus to requirements and the centre is currently vacant. It is thought that the building closed as an efficiency measure with the facilities transferred to the college's Manvers site. Empire Property Concepts Ltd has now submitted a planning application for a change of use of the building. The plans state: "The conversion will provide 25 x one bed apartments and 3 x two-bedroom apartments. The existing car park to the front of the Rockingham Centre will be rationalised to create ten standard car parking spaces plus one disabled space. Provision is also made for a cycle store in the lower ground floor area. "The existing soft landscaping at the frontage of the building will be retained and additional new soft and hard landscaping will be provided to the frontage and side of the existing building." Planned external alterations include new windows and replacing all of the existing windows. The site, which sits alongside Montomery Hall, is allocated as a community facility and planning policies state that sites can only be considered for reuse where there is no proven need for the facility. Plans also show that a marketing exercise has been undertaken for the property for the required 12-month period and that there was no interest in the building for a community facility. Leading Rotherham commercial property agents, Burgess Commercial, acted on behalf of the owners, Rotherham Council, to agree the sale. It was given a guide price of £295,000. Rockingham College of Further Education opened as a college of further education in 1976. It has its origins in a mechanics' institute which later became an adult education institute. In 1996, it was renamed Dearne Valley College and was largely relocated to a new multimillion pound building in nearby Manvers. The Wath centre previously provided for catering and for students with learning difficulties. The site is close to Wath Hall, which is also being disposed of by Rotherham Council. Fernie Greaves is currently marketing another nearby property - Wath Trinity Church and Cottage. The freehold is being offered for development at £200,000 and the property, which is understood to date back to 1903, provides some 3,730 sq ft of space. 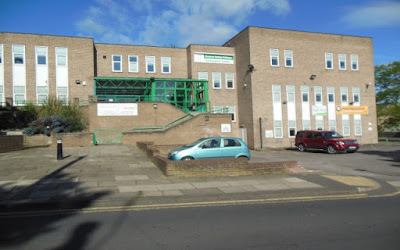 Let's hope the Wath College re-development is more successful than the project with the former RCAT buildings on Howard St. in the Town Centre. Any potential developers need to be very carefully checked out but in view of the Howard St. scenario, has the Council still got people with the necessary expertise?